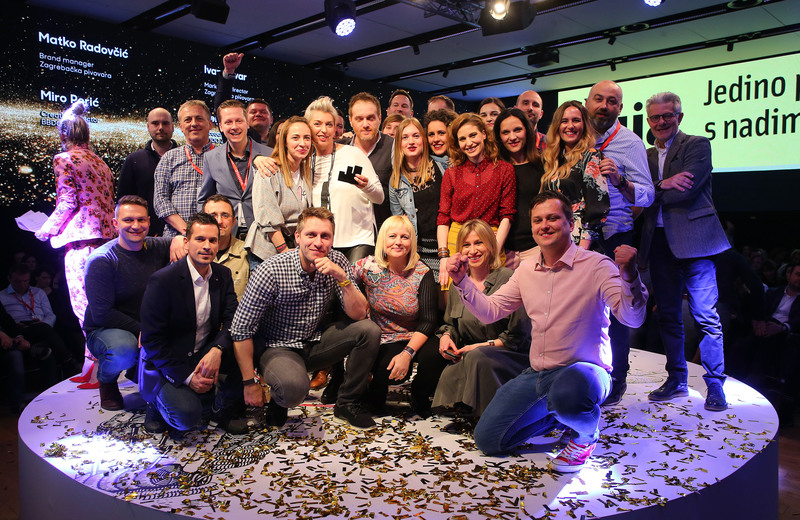 Rovinj, April 13, 2018 – In a ceremony held during the Communication Days Festival in Rovinj, on April 13, the prestigious Effie Awards were awarded to the best agencies and advertisers for exceptional marketing communications in the areas of creativity, strategy, and achieved results. This year, the Grand Prix winner is “Žuja is the Law” (2015-2017) by Zagrebačka pivovara, their primary agency BBDO Zagreb, media agency Universal McCann, Degordian, and Pragma komunikacije, which also won a Gold Effie in the Long-Term Effectiveness category. The Silver Effie Awards was were won by the “Mama and Dad are the Law” campaign by Zagreb Brewery, BBDO Zagreb, Universal McCann, and Degordian and “As You Go You Will Drink and Drink” by Heineken Croatia, Bruketa & Žinić & Gray, and Starcom / Publicis One. Bronze Effie winners included “Iskon Casting” by Iskon, Señor, Pro Media Group, 404, and Central Unit; “Croatia is Croatia – History is Written On Our Own” by Croatia Insurance, Bruketa & Žinić & Gray, Brigade, and Millenium Promotions Agency; “Pocket Internet” by Tele2, Imago Advertising Agency, and Media Polis; and “Launching the Old Lizard - Get in the Hunt and Awaken the Old Lizard” by Heineken Croatia, Publicis, and Starcom / Publicis One. This year, there was an increase in the number of applications for Effie Awards Croatia, a competition that celebrates the effectiveness of marketing communications. For the ninth year, advertisers and agencies have been rewarded for their strategic approach, creative communication, and the realization of ideas, especially in the areas of marketing activities and achieved market results.